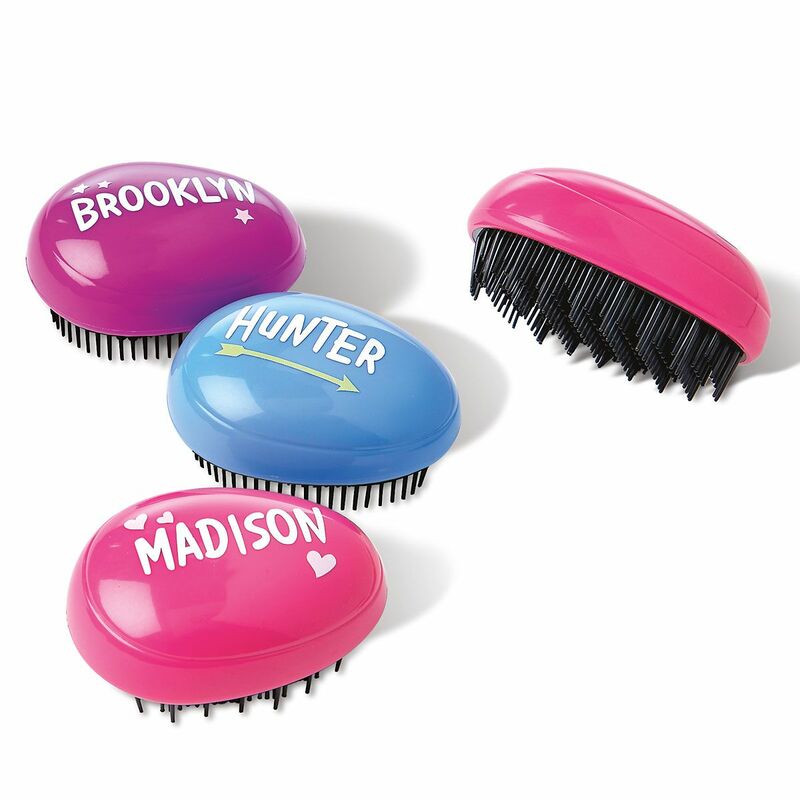 Flexible plastic hairbrush is Easter egg-shaped, a plam-fitting oval 3 1/2"L. Added art elements (hearts, arrow, stars) cannot be changed. Specify up to 8 characters. Prints in all caps.